John Pasley Luckraft was born about 1820, and had a career as a sailor, a harbour master, a lighthouse designer and survived a brush with the Welsh radical movement known as “The Rebeccas”. He appears on the Naval Tree, printed in an earlier newsletter, and available on the website at www.lucraft.org. I was recently at a conference in Leeds, and in the hotel boardroom there was a fine print of Admiral Sir Thomas Pasley, after whom we believe John P. was named. Pasley’s picture is reproduced at the right. This edition of the newsletter draws together various elements of his life, though there is much we don’t know. John P. was the third known child of John Luckraft and Martha Wilson. This father John was a Lieutenant in the Royal Navy, was present at the Spithead Mutiny and had served with great bravery against the Turks, having been also briefly imprisoned by them. This Lt John, was himself the son of another John Luckraft, the Master Cooper and Victualler at the Royal Dockyard in Plymouth. Grandfather John’s first wife was Julian Lobb, the daughter of the famous Cornish family of Lobbs, who can trace their roots back much further than we can. Grandfather John’s mother, Honor Edgecombe, was from another famous family of the Devon and Cornwall border, the Edgcumbes, who can trace their descent back to a John of Edgcumbe who died in 1285. When father John, and his wife Martha had their first child, in about 1808, they named him Alfred. This is perhaps a naming after John’s half-brother, Alfred Luckraft, born 1790, who is one of the sailors recorded in the Times in October 1805 as having been wounded on board the HMS Mars at the battle of Trafalgar. Sadly this first known child died as an infant, and is buried at St John’s in the parish of Maker, very near Mount Edgecombe west of Plymouth Sound. Maker is now in Cornwall, but in earlier times the western side of the Sound was all in one county, Devon, to make a unified fortified harbour in Devon. In later years Anthony and St Johns parishes have become part of Cornwall, as they lie west of the Tamar. Father John’s second known child did survive. She was named Julia Edgecombe Luckraft, after her great grand-mother, and in 1827, Julia married Lt William George Pearn, who by 1837 was serving in the Coastguard. at the time it was a naval prison. John Pasley Luckraft is “father John” and Martha’s fourth known child, born about 1820. It seems the children were born across at least 12 years. There were probably others I have not yet found records of that died in infancy or at birth. John P. would have joined the Navy about the age of 14, and though we don’t have all his records yet, we know that he rose to become a Staff Commander, and died on the 24th August 1887, at Burry Port, in Carmarthenshire. What follows are a few items from his life. 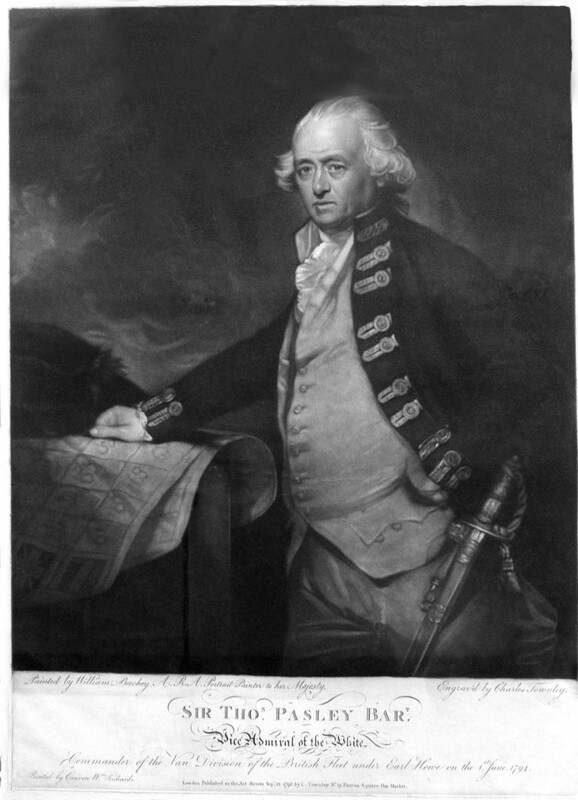 We believe father John, the Lieutenant whom Pasley had commended, named his first living son after Pasley, who was a famous Admiral and who served on the enquiry into the Mutiny on the Bounty. Further work on service records might help identify if Father John and Pasley ever served together. Through his life John P. was “a devoted friend and supporter of the [temperance] movement”, and earned an entry in Winskill’s Biography of Temperance Standard Bearers. After retiring from active service in the Royal Navy, but still an officer in the reserve, John P was employed as the Harbour Master at Llanelli. By 1855 the Navy did not have the need for as many officers as during the Napoleonic years, and many officers were retired, on part pay. While he was there he designed the first lighthouse on Whitford Inlet at Burry Inlet. The following is a history of the first light, designed by John P., taken from a local history publication. This unique lighthouse is a prominent landmark at the mouth of the Burry Inlet. It is an impressive sight when it stands alone amidst vast sand banks at low tide, or when the empty tower is battered by heavy seas. Today, the Burry Inlet is used only by small craft, but the Whitford Lighthouse belongs to an era when Llanelli was a major Welsh port with an important coastal and foreign trade. The present structure is the second to have been built on the Whitford sker. Its predecessor was erected about half-a-mile north of Whitford Point, in 1854. Its designer was Captain John Paisley [sic] Luckraft, who was the Harbour Master at Llanelli. The light was first lit on the night of 22nd January, 1855. The following year, events conspired to almost wreck the Whitford Lighthouse; wreckage became trapped amongst the piles, and broke one of the stays. More wreckage became entangled during a storm on 7th February, which led to the loss of the remaining stayrods. Later that day, Michael Leheane, one of two keepers, reported to Captain Luckraft that the tide had risen to an extraordinary height, and that the sea was the heaviest he had experienced. Fearing for their lives, both keepers abandoned the lighthouse at low water. On the following day, Captain Luckraft found that 13 of the 18 stayrods had been washed away. Michael Leheane and William Hughes, a Llanelli pilot, bravely agreed to stay the night there. More damage occurred in 1857 when the "Stark", of Dublin, collided with the lighthouse, demolishing the north-east pile. By 1864, the lighthouse had become a major headache for the commissioners of the Burry who called for a report on the scientific construction of lighthouses. Plans for a new lighthouse were drawn up by John Bowen, a local engineer. He was a blacksmith's son and was employed by Messrs. Nevill, Druce and Co. as an engineer at Llanelly Copperworks. He was responsible for the design and building of Llanelli's tallest chimney, the "Stac Fawr", at the Copperworks, which was completed in 1861. At the time, it was claimed to be the tallest chimney stack in Europe. A different siting was chosen for the new lighthouse, about 300 yards south of the old one. The successful tenderers were Messrs. Hennet & Co. and the lamp was lit in November, 1866. Repairs were found to be necessary during the 1880's. The lighthouse continued to operate satisfactorily for over fifty years, and, in 1919, Llanelly Harbour Trust considered installing a more powerful automatic gas-light at Whitford, but came to the conclusion that the estuary would be better served if a new lighthouse were to be built on Burry Holms. This was built during 1921, and the Whitford Light was finally extinguished. In the 1840’s a Welsh up-rising of dissatisfied tenants and farmers made cause with the English establishment living and ordering affairs in Wales, whom they held responsible for the poverty and economic decline of the ordinary working people. Many working men had been compelled to move to the workhouse in destitution, and there was much ill-feeling. Men dressed with petticoats and known locally as “the Rebeccas”, took action against individuals they felt were involved. They were not always immediately ruthless, and in their dealings with John Pasley Luckraft, we see an example of telling the target of their attention to get out of Wales, rather than killing the person forthwith, as they clearly could have done. Whether this is anything to do with any particular regard for John P. or not it is impossible to say. The following extracts are from depositions taken at the time, from witnesses. John P was about 24 at the time. We believe he married at some point, but we do not know if he was married at this time. A NOTE of the voluntary examination of David Davies made before Wm. Chambers, junior. With regard to Luckcraft the first arrangement was to cut his legs and afterwards it was proposed to break all his things. The fat young butcher was at the Stag and was sitting between the two pilots. DEPOSITIONS taken before William Chambers and William Chambers, junior, 5 January, 1844. An unfinished draft. He was harbour master at Llanelly, residing at the Sea Side. About 1.30 on the morning of Wednesday, September 6, he was awakened by a knocking at the front door of his house. He supposed it to be one of the harbour men calling him and he tapped the window to show he was awake. A voice cried out " is it here the harbour master lives ? " He replied " yes." The same voice answered " come down here, we want to speak to you." Deponent [that is John Pasley Luckraft] dressed and prepared to go down, and several voices called out in a threatening manner that if he did not come directly they would fire the house about him. He went out and saw in front of his house from twelve to twenty men all disguised, one on horseback. One person stood on his right as he came out. He was disguised with a light garment like a petticoat on the lower part of his person and had a handkerchief or something tied on like a turban on his head. He was a tall man and appeared to take the most active part. The man on horseback spoke first --- " We have come respecting those poor people you are sending to our Workhouse and you must go away. Deponent said " Do you mean that I must leave this house," and the man on the right said " No, we mean that you must leave this place altogether. Before you came those men were getting forty pounds a year. Now they are obliged to go to the parish." He had a woodman's hatchet in his hand. Deponent replied that as he was in their power he must do as they desired. The man lifted the hatchet in a threatening manner and said " If you do not promise, by the Lord God, you will be a dead man." Deponent saw a man pointing a gun at him and he asked the man with the hatchet " What is that man about with the gun." The man with the hatchet ordered him to put the gun up, which he did and shrunk back. The man with hatchet said that he would stand between deponent and harm, and added " you must promise to leave this place in a week or by God Almighty you are a dead man, and don't you think the soldiers can protect you for they can't, and that they know, and they know that we are here now." Deponent said " Do no violence and I make you the promise." The man on horseback turned towards the new dock and all the rest turned to go away. The man on the horse said something and a man pointed a gun at the deponent and discharged it, but it hit the window three feet to his right. Three discharges were made towards the upper windows. Deponent did not recognise the prisoner William Jenkins as one of the men. The Carmarthenshire Antiquary 1943/4, Vol i, Pts 3 & 4. A FILE OF " REBECCA " PAPERS. BY EVAN D. JONES, B.A. This article has been extracted from an extract made by Gareth Hicks (July 2004) and published on the Genuki website.